Sustainable buildings are buildings that promote principles of longevity and responsible use of energy and natural resources throughout their lifespan. Kenyan architects must consider the need to design and develop the buildings that they do within the lens of sustainability. Right from the commencement of a building project, the idea is to commission projects that will be built using sustainable building means. Indeed part of sustainability also has to do with construction technologies that are incident in a given location, and especially modes of construction that have been used in a given location using its specific construction industry requirement. 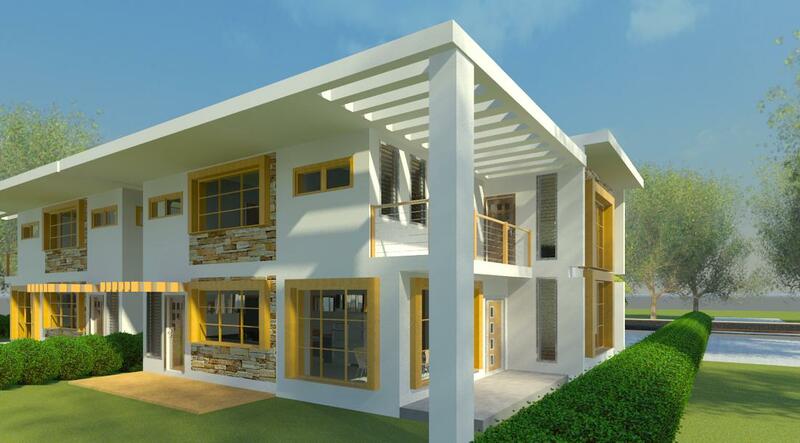 Sustainability of construction also comes with the use of smart building techniques that reduce on the use of materials requiring high energy consumption in their manufacture. In the case of concrete, this would have to do with using means of construction technologies that offer a reduction in the quantities of concrete used in the building process. One measures the strength of Concrete in terms of the amount of load it can bear per unit of its volume. Modifying the composition of concrete to bear higher load per unit volume is what will yield a higher strength concrete. This is a process that requires searching for high strength adding properties that allow the concrete to bind together more strongly and add its compressive strength, without requiring additional rebar. This can be achieved by adding to the strength of concrete such that a given volume of concrete can bear more loads than conventional building concrete. Conventional building concrete is classified according to its bearing load. As the strength of concrete bearing goes up towards higher strength concrete mixes, it is necessary to introduce design mixes into the equation. Classes of concrete reaching beyond 25 kilo newtons per cubic meter often require to be mixed and batched at a specialised plant where such mixing is carefully controlled and done prior to being delivered on site. In addition, the concrete must have been mixed and retained in a state of correct fluid throughout its transportation from the point of being mixed to its being poured out on a site. This necessitates the use of mixing trucks or actual establishment of cement mixing plants should the economies of scale warrant it. One way to do this is by toughening the concrete such that it would allow a given volume of concrete the ability to withstand greater loads. 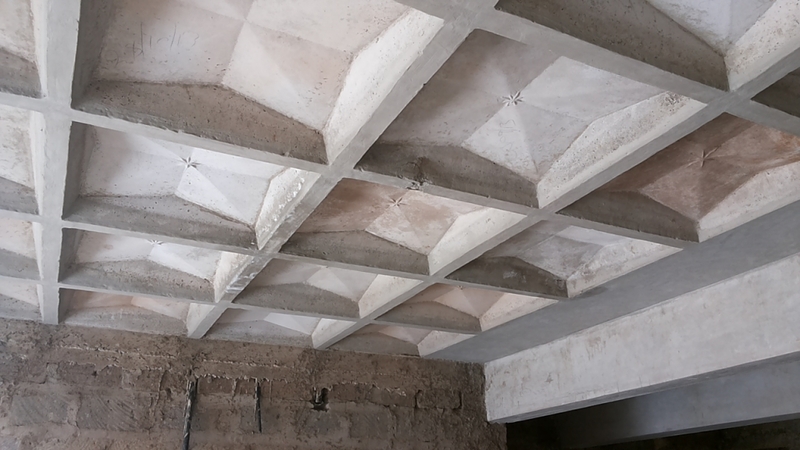 This technique has been successfully utilized by many of the world’s leading multistorey buildings that have employed concrete as their structural material. Buildings such as Burj Khalifa in the UAE, (as well as most of the skyscrapers in the region) and the Petronas Towers in Malaysia are such buildings that have used high strength concrete to achieve high bearing capacity in their structural frame. Architects in Kenya can borrow a lead or two from these mega projects in the design of newfound structures. 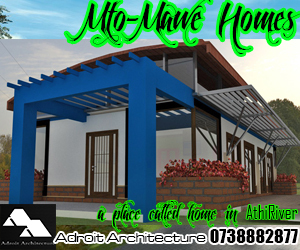 Such buildings are made using what is known as high strength design mix concrete. The concrete is made to achieve this kind of strength through the use of special additives in the concrete mix process. Such additives include the use of silica particles obtained from grinding and recycling old computer parts, as well as other stiffening and strengthening particles which add plenty of compressive strength to the concrete mix, allowing it to bear much more weight/load than normal batches. Maximum concrete strength can also be achieved through the use of prefabricated building elements that will allow the concrete to bear strength in its strengthened form, through its use in configurations that allow it to function with maximum strength. A Kenyan architect needs to consider the use of elements of concrete that have already pre formed or prestressed to take advantage of the usual manner which concrete bears its loads. Concrete structures behave in a particular way when it comes the way they bear their weight. Concrete is strongest under compression. As such, when a building element is designed to make use of the natural manner with which concrete bears weight, it strengthens itself and requires less amount of concrete in other planes where concrete strength is not as good, e.g. in the areas where it would be under tension. The dead load of a concrete slab in these areas where it is not as strong can thereby be reduced, resulting in a stiffer element which is more efficient in its mode of bearing loads. This is exemplified in the use of concrete waffle slabs for suspended floors in a building. 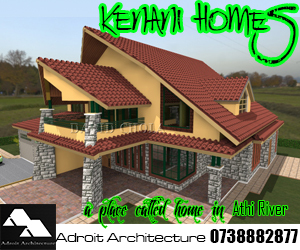 Architects in Kenya may design large structures that require framed structural elements, i.e. columns and slabs. Waffle slabs are efficient in their construction because they bear the loads imposed on them in a manner as to distribute them to their sides, where their wider profiles act as a system of beams, a lot like an egg crate structure. The recessed centers between these beams serve to make them lighter, as these areas do not wield the concrete’s compressive strength. Long story short, the part of the slab that acts structurally is the one that bears the weight of the structure, while the non-structural portion has been lightened substantially, reducing the overall dead load of the slab. This is stiffened by addition of a single reinforcement bar in between the borders of two waffles, making the joint even stronger and tying the various waffle slabs together into a large slab. Once this is in place, a simple 50 – 75mm layer of mass concrete is poured over the waffles to form the complete floor slab. The biggest advantages of this system is in the speed of assembling and building a slab is increased, and the overall building structure gets much lighter. Quite a few cost savings can be realized through this, as the building efficiency is definitely increased from a structural standpoint. It is indeed vital that the structures which we build are good and sound, it would be a pity to see the building structures we put up becoming unsound due to structural failure. And of course, with the kind of investment that builders put into producing their building structures, it is important that they are constructed correctly. Of course the savings created through more efficient use of concrete is a major contributor by architects in Kenya towards achieving a more sustainable build environment. blogger. I’ve joined your feed and look forward to in search of extra of your magnificent post. Hi, nice blog… I’m really interested in the waffle technology…can you provide more info? 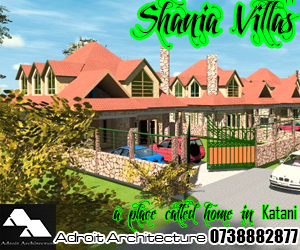 are there other designs available in nairobi than the one pictured? Hi Kip. Thanks for the complements. Waffle technology has many advantages, especially due to the advantages of precast construction. We can give you further guidance on how you can use it on your building especially if you engage our services for the design and management of your construction project. The main design is the rectangular one you see, but it is available in differently sized modules that can fit various spaces within your building as required. Cheers.